The land of the rising sun always seems one step ahead of the food scene without having to re-invent the cuisine or adapt to the modern age. Many European cuisines have evolved into something new overtime as tradition demanded change matching the public’s taste and dietary needs. This generally meant lighter, healthier, more colourful and complicated versions of the classics. 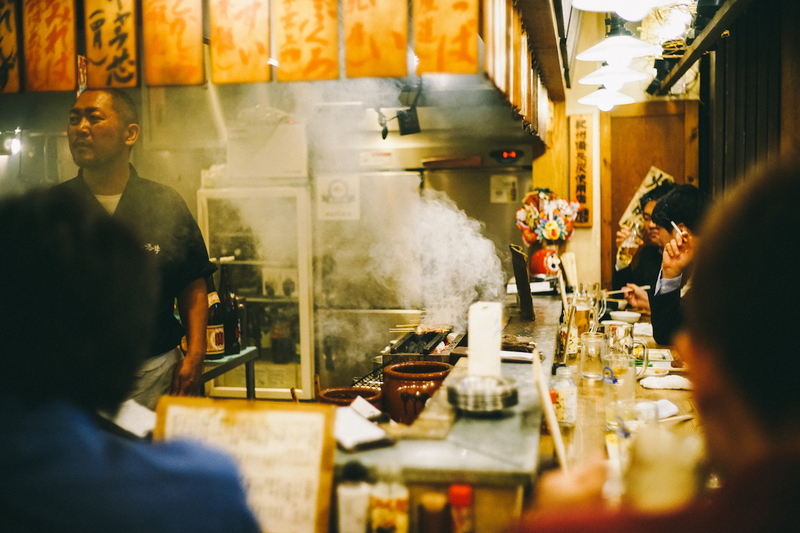 Japanese culinary traditions and preparation methods are more timeless, having the ability to translate for future generations with minimal adaptation. I imagine it’s based around the healthy, lighter styles of Japanese cuisine, as well as quality driven products and ridiculous levels of umami. The rise of Japanese cuisine over the past 15 years has been nothing short of phenomenal, now there are housewives in central Russia serving maki rolls and tempura for lunch while sushi hand rolls are flying off supermarket shelves worldwide. Sure they are bastardised versions of what Japanese call their cuisine as each country changes the variety and flavours to suite local tastes. I’m not a Japanese expert nor have I studied Japanese culture or cuisine, but while travelling in Japan I was both shocked and pleasantly surprised by the treatment and respect they have for food. Have you ever tried Japanese Food? It’s funny when you hear this question. What is Japanese food? I mean what really makes any cultural food itself? If a cuisine is taken outside it’s country of origin with different ingredients being prepared by foreign workers can it be called authentic? Everyone will automatically reply “of course I have tried Japanese food, it’s delicious”. We are all experts on Japanese food after eating Tempura off the hotel buffet or sitting down at Sushi train to stuff our faces full of six dollar plates. But in Japan itself food is a very different experience, it’s simpler than we thought and better. There are no 20-30 page menus lining the streets and if so then I guarantee you they are not serving Japanese guests. It’s better to offer what others can’t rather than trying to compete in everything while being know for nothing. Japanese people are happy to line up and wait 45 minutes in the snow to eat at a tiny restaurant offering only 1 type of ultra-delicious soup. The soup is often ordered from vending machines and served with minimal fuss & flair. 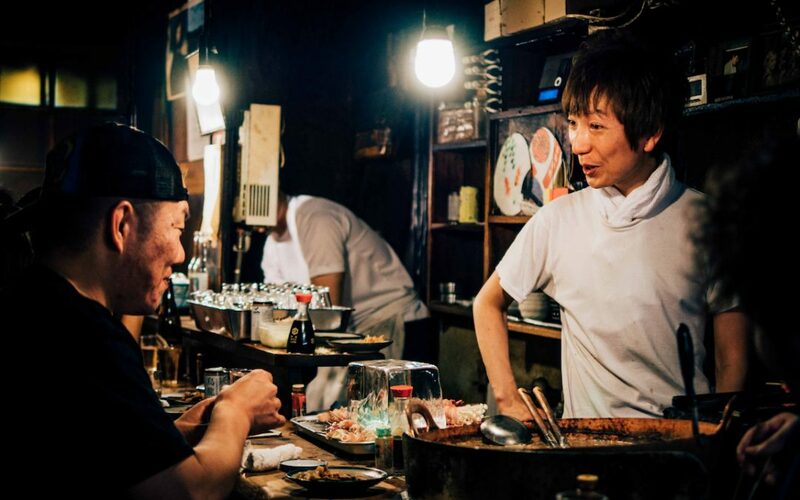 This is the essence of Japan, true focus on quality VS quantity and understanding the value of cooking single dishes or ingredients to perfection. I doubt any Japanese chef has muttered this to his Sous chef while preparing Sushi. But in the west can’t help ourselves; we struggle to understand that making simple ingredients shine is more complicated than preparing rainbow maki rolls with eight different ingredients or adding cream cheese to uramaki. 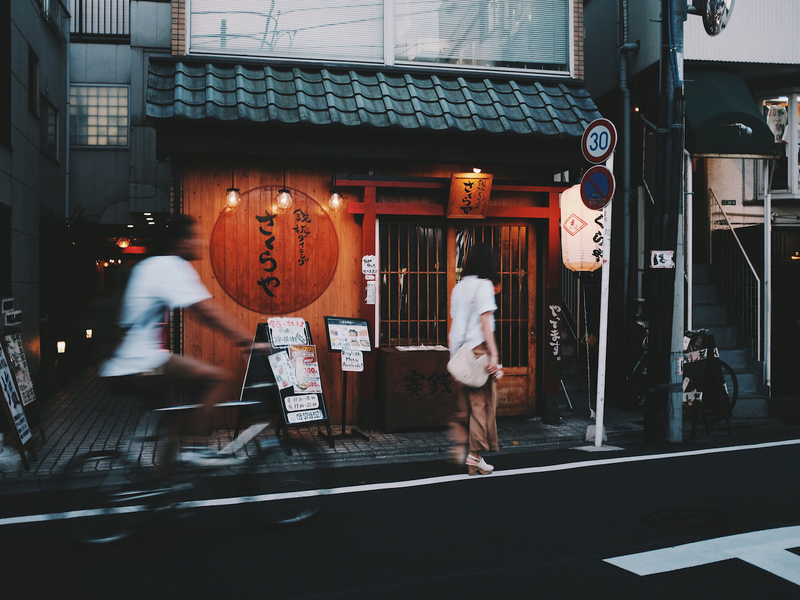 “Simple” in the west often translates into “boring”, there are certain expectations after eating your local brand of modern Japanese sushi/sashimi. The actual skill is in keeping it simple while showcasing quality, rather than covering up average ingredients with colourful creativity. Also we focus on what sits on the rice rather than the rice itself. The word “Sushi” refers to vinegar seasoned rice. It’s said that the word “Su-meshi,” which means “Vinegar Rice” later became “Sushi”. So when you say sushi, it’s the rice being discussed, not the fish. How the rice is cooked, cooled & stored is the most important stage in sushi preparation, not what seafood the chef selects. The rice is everything, it’s the reason why Japanese never dip the rice in soy sauce when eating Nigiri, they turn it upside down only touching the seafood to maintain the texture and integrity of the rice. This is why Japanese often eat sushi with their hands vs chopsticks, its easier to dip without spoiling the rice in a pool of soy sauce. Umami – some call it the secret taste others call it the 5th taste after sweet, sour, bitter and salty. Either way it was discovered by the Japanese in 1908 and only later recognised by western scientists in the 20th century. The discovery of Umami also led to the creation of MSG, but that is another story. Umami is difficult to describe and is best explained as brothy or meaty savoury taste, directly translated it means “savoury, deliciousness”. It appears in the form of glutamate that occurs naturally in many ingredients such as kombu seaweed, soy, mushrooms, tomatoes, peas, fish sauce and parmesan cheese. It’s the high concentrate of glutamate found in kombu seaweed that gives that rich, deep umami flavour. Kombu or Dashi also form a solid flavour base for Japanese cuisine. Umami flavour can be created through fermentation, ageing, roasting and braising. Raw beef is not umami, but grilled beef is enriched with umami flavour. Basically when a protein is broken down into free amino acids the umami flavour can be released. Umami rich food is easier to digest as proteins have already broken down into amino acids, these acids assist with digesting other ingredients – think fermented vegetables and pickles. Why does Italian food taste so good? Because Parmesan cheese is packed full of umami flavour and tomatoes are bursting with natural glutamate that enhances other surrounding ingredients. A burger is basically a stack of umami with slices of glutamate – grilled beef, pickled cucumber, tomato, tomato ketchup and cheese… it is a flavour bomb. It makes perfect sense to me that Japanese would be the ones to discover the 5th taste or Umami for all the reasons mentioned above. We can all learn something from the way Japanese approach and appreciate food… if only they would stop serving bluefin tuna and harpooning wales, but that’s another story. I guess not all the Japanese traditions are so timeless. If only Japanese approched conservation with the same passion they have for food.